At AA Hammersmith we will gladly answer any questions or comments you may have regarding new or existing insurance coverage. Fill out the contact form to the right or call us at 330.832.7411, or call toll free at 1.800.852.7267. 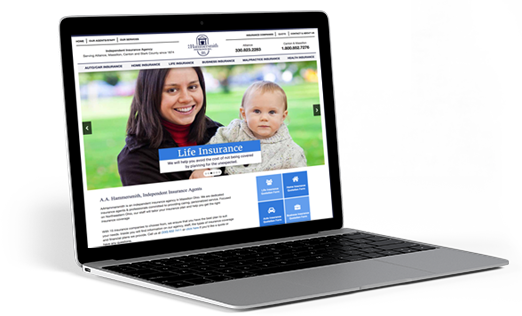 Established in 1874, A.A. Hammersmith Insurance Agency was founded on a philosophy of offering personal, professional service. Since then, we have grown into a full-service agency with a staff of 35 insurance specialists serving over 8000 individuals and families, and 700 businesses throughout Stark County and Northeastern Ohio. We utilize a state-of-the-art computerized rating system that instantly compares rates of competing insurance companies for the same insurance coverage so that we can offer you the best possible rates. Copyright © A.A. Hammersmith Insurance, INC. All rights reserved.